Wanis Bukhamada is still head of the Saiqa Special Forces but has been reassigned to Derna (Photo: Archives). Wanis Bukhamada has been reassigned to Derna but not sacked as head of the Libyan National Army’s (LNA) Special Forces, sources close to him have revealed. They also insisted he was replaced by military governor Abdul Razzaq Al-Nadhuri as head of the Benghazi Joint Security Room (BJSR) for purely tactical reasons. 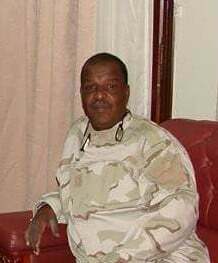 Bukhamada, accompanied by two added special force units, will now lead the ground assault on Derna as the LNA seeks to oust Islamist fighters However, he is not being named as the official chief of the Omar Mukhtar Operations Room. Various factors were rumoured to be behind Bukhamada’s ‘reassignment,’ including the recent mosque bombings in Benghazi. It has also been argued that LNA commander Khalifa Hafter was uneasy over the strength of support Bukhamada had following protests backing the ICC-wanted Special Forces officer Mahmoud Warfali. Finally, it had been reported that Bukhamada had shown a degree of sympathy for Hafter’s nemesis, the Presidency Council’s deputy interior minister Faraj Al-Gaem. The source close to Bukhamada reiterated that all of these claims were lies and said the reshuffle was just a normal military decision. He also said there had been no demonstrations in Benghazi over the decision and that any protests that had taken place in recent weeks were purely over Warfali, after he handed himself in to Military Police for questioning.